Afterschool programs nationwide work tirelessly to advance literacy, STEM learning, and other critical subject areas. The Afterschool Alliance and our generous funders are committed to recognizing these efforts—learn more about our award opportunities and get inspired by past winners. Apply online here. To prepare your application, review the pdf of the full application and eligibility requirements, and sign up for our upcoming webinar. The recipients of two-year grants will be chosen on the strength of their support for youth in the transition to the ninth grade, specifically around such indicators of success as on-time promotion; school attendance rates; improved behavior, grades and test scores; and/or the development of social and emotional skills. The Afterschool Alliance will convene a selection committee comprised of experts in the OST field to assess applicants and make grant recommendations. This RFP will close on Friday, January 25, 2019, 5pm ET. Grant winners will be notified in May 2019. The New York Life Foundation invests in middle school OST programs to help eighth-graders get to ninth grade on time. Research has shown that for disadvantaged students, more learning time in the form of high-quality afterschool, expanded-day, and summer programs leads to greater achievement, better school attendance, and more engaged students. The Afterschool Alliance is administering the grant application process on behalf of the Foundation. If you have any questions about the New York Life Aim High Grants, please contact Dan Gilbert at dgilbert@afterschoolalliance.org. Congratulations to the 2017 Dollar General Afterschool Literacy Award winner, Columbus State Community College's ESL Afterschool Communities! We are proud to announce that this year’s Dollar General Afterschool Literacy Award winner is Columbus State Community College’s ESL Afterschool Communities (ESLAsC)! 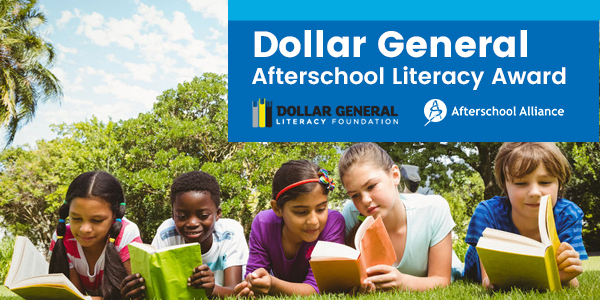 Thanks to the generous support of the Dollar General Literacy Foundation, the Ohio program is the recipient of the $10,000 award and is featured in a Dollar General afterschool literacy issue brief, Afterschool Providing Key Literacy Supports to English Language Learner Students. With a student population comprised of 100 percent English language learners, 99 percent of whom live in low-income families, the program stood out from more than a hundred nominations for its wraparound approach to supporting both students and families. In addition to individualized instruction and a diverse set of literacy activities for their students, ESLAsC performs home visits, provides social service referrals, and offers translation services to the families in their program. Originally the idea for ESLAsC came from parents and community members who attend the community college’s basic English classes and expressed a need for similar programming for their children. Since 2002, the program has grown to serve four schools and one community center. It remains a central part of the communities it serves, performing a six- to nine-month community needs assessment before opening their doors and gaining the support and buy-in of school-day staff, community-based organizations, parents, and community members at the outset. 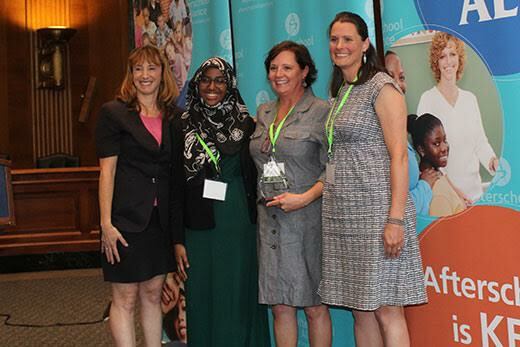 The program was recognized at the Afterschool Alliance’s annual Afterschool for All Challenge. 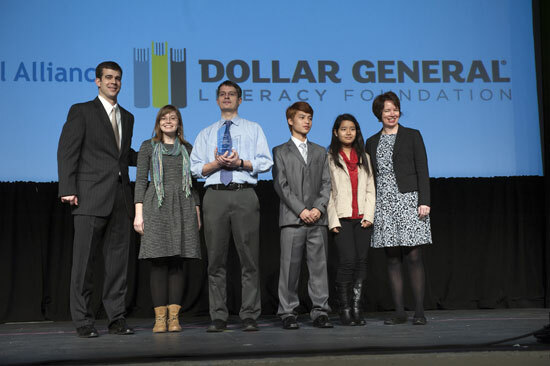 The New American Pathways’ Bright Futures Afterschool Program, located in Atlanta, Georgia, was awarded the first-ever Dollar General Literacy Foundation and Afterschool Alliance joint Dollar General Afterschool Literacy Award in 2015. Bright Futures focuses on ensuring that Atlanta’s refugee students are academically prepared to enter high school—providing targeted one-on-one support to students who are at the highest risk of falling behind academically, as well as offering a host of support services to families, including helping students’ parents understand and navigate a school system that is new to them. The program was recognized at the National AfterSchool Association annual convention and Afterschool Alliance Afterschool for All Challenge. Bright Futures’ education and youth manager Peter Epstein, middle school youth coordinator Mary Kathryn Tippett, eighth grader Bishal Mager and sixth grader Paler Mar accepted the award on behalf of the program. Located in Corbin, Kentucky, 2016 Dollar General Afterschool Literacy Award winner Redhound Enrichment stood out among more than 150 nominated programs for its excellence in providing literacy support to its K-12 students during the school year and into the summer. The Dollar General Literacy Foundation presented the award to Redhound Enrichment’s executive director, Karen West, at the National AfterSchool Association’s annual convention in Orlando, Florida. West shared that the program will use the $10,000 award to provide professional development and literacy instruction for its staff. Learn more about Redhound Enrichment, as well as other programs offering literacy-related programming to help students build on school-day lessons and take advantage of the summer months, in the Dollar General afterschool literacy issue brief, Taking a Year-Round Approach to Literacy. From 2007 through 2014, the Afterschool Alliance and MetLife Foundation worked together on the MetLife Foundation Afterschool Innovator Awards to raise awareness about the innovative and exemplary work taking place in afterschool programs around the country. During the course of the awards’ six rounds, close to 100 afterschool programs in 30 states were featured in MetLife Foundation issue briefs, and the MetLife Foundation Afterschool Innovator Award was presented to 31 afterschool programs. 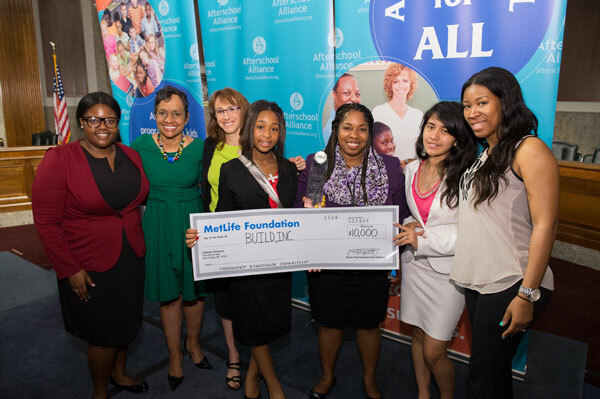 In all, the Afterschool Alliance and the MetLife Foundation awarded approximately a quarter-million dollars in total awards. 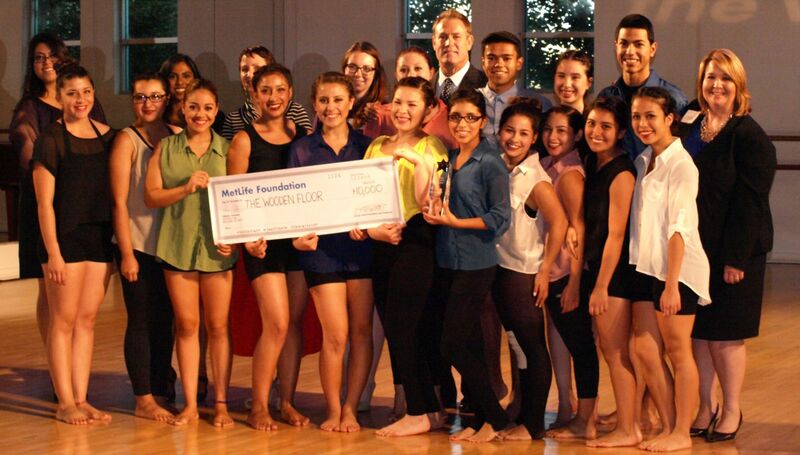 The MetLife Foundation Afterschool Innovator Awards were able to shine a light on the myriad of ways afterschool programs support their students, families and communities, addressing topics from keeping kids safe and supported in the hours after school to fostering parent engagement to helping students become more involved in their community. More than 20 MetLife Foundation issue briefs and half a dozen compendium pieces were written to delve into the critical issues facing children, schools and communities and the vital role afterschool programs play to address these issues. In its final year, the MetLife Foundation Afterschool Innovator Award winners were honored at the “Breakfast of Champions”—a gala event in Washington, D.C., which is a part of the Afterschool for All Challenge. Hundreds of educators, parents, afterschool leaders and advocates from across the U.S. attended the event where the winners were each presented with a $10,000 check from the MetLife Foundation. Learn more about the award winning programs in the MetLife Foundation issue briefs and compendiums. From 2007 through 2014, the Afterschool Alliance and MetLife Foundation worked together on the MetLife Foundation Afterschool Innovator Awards to raise awareness about the innovative and exemplary work taking place in afterschool programs around the country. We continue to be inspired by these past winners who have made so many important contributions to the field over the years. 2012: Green Energy Technologies in the City (GET City) (Lansing, MI); The Wooden Floor (Santa Ana, CA); Latino Arts Strings & Mariachi Juvenil Program (Milwaukee, WI); Kid Power, Inc.-The VeggieTime Project, (Washington, D.C.); and Parma Learning Center (Parma, ID). 2011: Kids Rethink New Orleans (New Orleans, LA); Higher Achievement (Washington, D.C.); Urban Arts/Project Phoenix (Oakland, CA); 21st Century PASOS (Gettysburg, PA); and America SCORES (Chicago, IL). 2010: Cypress Hills/East New York (CHENY) Beacon Program (Brooklyn, NY); Junior ACE (Sacramento, CA); Learning through an Expanded Arts Program - LeAp 22 (Bronx, NY); San Antonio Youth Centers (San Antonio, TX); Science Club for Girls and C.E.L.L.S. - Career Exploration, Leadership and Life Skills (Cambridge, MA); and The Bridge Project (Denver, CO). 2009: Colorado MESA (Denver, CO); the Student Success Jobs Program (Boston, MA); Arizona ICAN (Chandler, AZ); the RiverzEdge Arts Project (Woonsocket, RI); Challenging Horizons Program (Columbia, SC); and the Ann Arbor Teen Center’s Neutral Zone (Ann Arbor, MI). 2008: LA’s BEST (Los Angeles, CA); Lincoln Community Learning Centers (Lincoln, NE); Native Youth Club (Sioux Falls, SD); and The After-School Corporation (New York, NY). During the course of the awards’ six rounds, more than 20 MetLife Foundation issue briefs were written to delve into the critical issues facing children, schools and communities and the vital role afterschool programs play to address these issues. During the course of the awards’ six rounds, more than a half dozen MetLife Foundation compendium pieces were written to delve into the critical issues facing children, schools and communities and the vital role afterschool programs play to address these issues. Partnerships with STEM-rich institutions – highlighting partnerships between an afterschool provider and a science center, museum, nature center, university, government lab or STEM business. 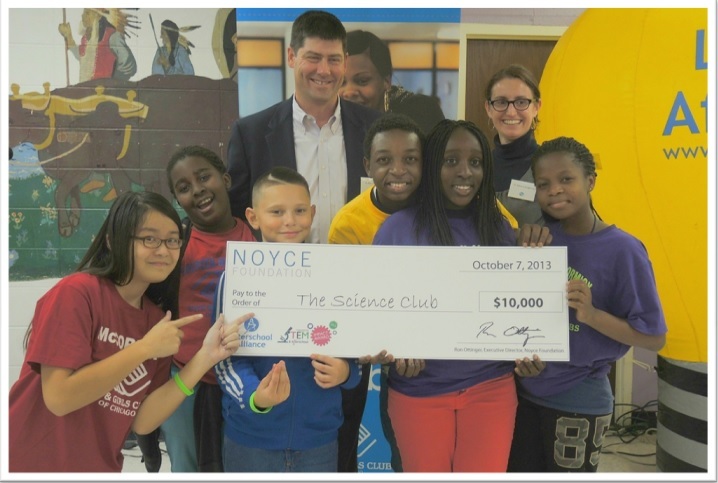 WINNER: Science Club, a partnership led by Northwestern University with the Boys & Girls Club of Chicago and teachers from Chicago Public Schools. Engineering and/or computing content focus – highlighting afterschool programs that focus on the engineering design process to develop a solution to a problem, and afterschool programs that focus on technology creation like coding, programming mobile apps or games, etc. 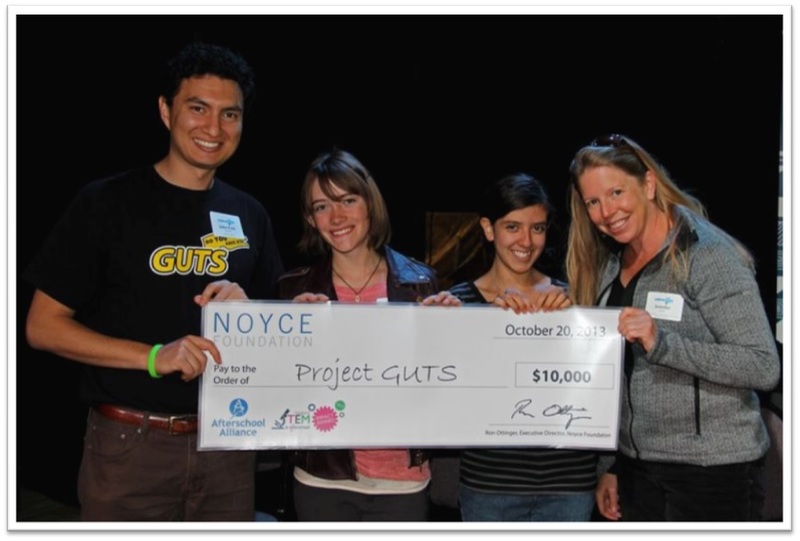 WINNER: Project GUTS (Growing Up Thinking Scientifically), a computer science afterschool program where middle school students use computer programming to solve complex, real-world issues. It was a tough decision to choose just two winners from among so many excellent programs! The Afterschool Alliance promoted Science Club and Project GUTS nationally through a variety of opportunities. Both programs hosted their own Lights On Afterschool events and were featured in a special series of issue briefs, participated in webinars, co-presented at national and state conferences, and were continuously highlighted as model programs.